MEEEOOOWWW! Cute and cuddly, but also fierce and fun. 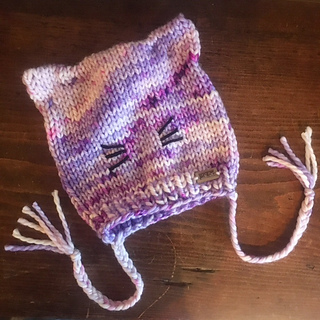 The Lil’ Kitty Beanie is a hat with nine (plus!) 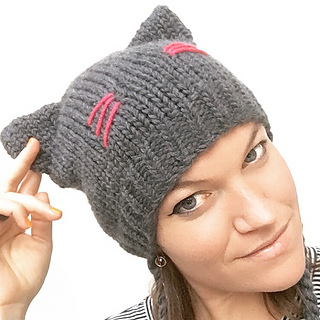 looks and styles – for little kitties and big kitties alike. 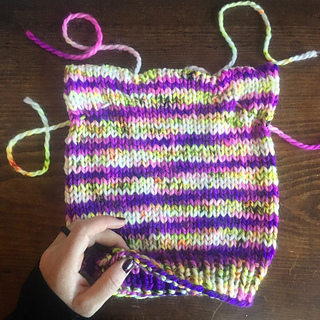 Knit it with plain kitty-colored yarn, or go crazy with speckled and hand-dyed. Add (sparkle!) 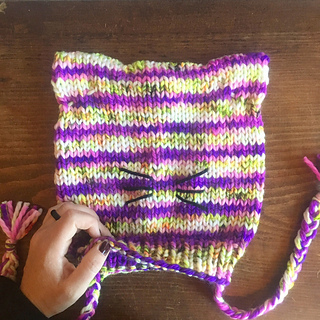 whiskers, add tassels, add pom poms…make this hat as unique as your kitty’s personality. Purrrr. This pattern assumes that the user is familiar with knitting in the round, basic knitting stitches, and a slightly more advanced finishing technique – the Kitchener stitch/grafting (for a seamless top). Two sizes of needles are required to knit this beanie, plus a blunt needle for finishing. PS. This pattern is FREE. It has not been through rigorous testing. Be kind if you find an error…send me a friendly message.